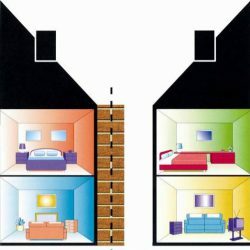 We offer a full range of surveys from Building Surveys (RICS level 3), Homebuyer Reports and Condition Surveys. We can offer bespoke reports prepared by our qualified Surveyors. Maintaining your asset is essential to retain its value. We offer detailed assessments of your building to enable accurate budgeting. Our reports are clear, concise and informative. Our reports are very popular with Managing Agents. We have extensive experience running major works projects. Including small buildings, heritage buildings and large developments. Our service is very popular with managing agents and asset managers. Whether you are doing works or you have received a notice from your neighbour, we can ensure the process runs smoothly. 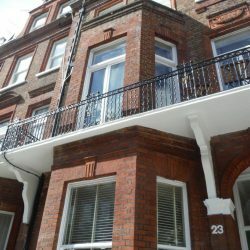 We can resolve disputes that may arise and issue Party Wall Awards. Hallas & Co. are an established firm of Independent Chartered Surveyors providing property surveying services to London, South of England, Yorkshire and Lancashire. We provide surveys, reports and professional services to the highest standard. Our advice and reports are clear, concise and easy to understand. Our surveyors are trained to the highest standard to enable us to meet our clients needs. We provide an expert service to ensure clear objectives are set to deliver a project on time and budget. We specialise in working with Managing agents, freeholders and Resident Managment Companies. Our services include Internal and external refurbishments, Specifications, tendering, Contract Administration and CDM (Health and Safety). Your home is likely to be the largest investment you make in your lifetime, so it is crucial to use a property surveyor that can provide informed, professional advice, gained from our extensive experience in all aspects of residential property. We provide a wide range of residential property surveying services tailored to suit your individual needs. Our Qualified and Experienced surveyors undertake Full Building Surveys and RICS Homebuyer Reports. We are experts in providing Reinstatement Cost Assessments. We provide cost assessments on large mixed use developments, Small sites, heritage properties and single dwellings. We also provide reports on insurance reinstatement works, specifications, tendering and contract administration. 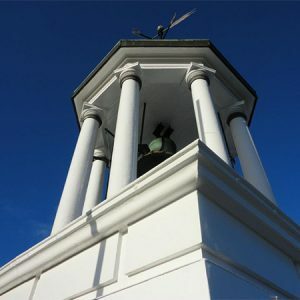 Hallas & Co prepare detailed Planned Maintenance Plans for all types of properties, ranging from listed buildings, large developments to small modern buildings. Our plans assist clients in budgeting, scheduling maintenance and major works. Planned preventative maintenance will reduce the need for expensive reactive repairs. Working under the Party Wall Act of 1996 we provide advice and surveys to property owners around this potentially contentious issue, ensuring any party wall works are carried out in accordance with the Act. We can serve notices on your neighbours and prepare and issue party wall awards, and we can also advise property owners when issued with a notice. Our team work with individual householders up to large developers. Often leaseholders will require a license agreement with the landlord to undertake alterations within thier property. Our team are experts in reviewing the lessees proposals on behalf of the landlord, freeholder or managment company. We ensure the lessee obtains statutory permissions, does not undertake alterations which are detrimental to the building check the works are completed as per the lciense agreement. Hallas & Co push the boundaries to provide our clients with cost effective solutions. We specialise in surveys using Drones (UAV’s) with a fully qualified pilot and surveyor. 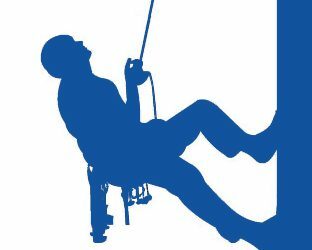 We also provide rope access (Abseil) surveys and inspections. Our expertise in providing specialist access saves our clients time and money. We provide a full range of residential & commercial property services. We pride ourselves on providing our clients with Surveys, Reports and Professional Services to the highest possible standard, and at competitive rates. Our reputation is built upon repeat business for providing an exceptional service to our customers in the residential, public and commercial sectors. We've compiled this selection of helpful links and downloads to hopefully answer any questions you may have about the services we offer. 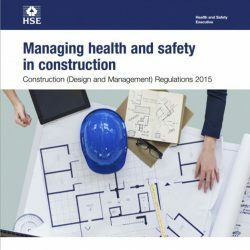 Details of The Construction (Design & Management) Regulations 2015, the main set of regulations for managing the health, safety and welfare of construction projects. 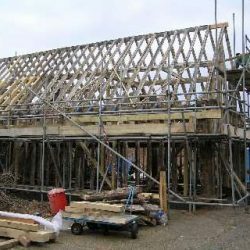 This booklet provides an introduction to the Building Regulations in England and Wales and is intended for anyone proposing to carry out building projects. 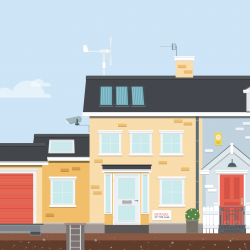 Find out when you have to apply for planning permission or need building regulations approval, and the application and appeal processes involved. Information for anyone who wishes to demolish a listed building, or alter or extend it in a way that will affect its overall character or appearance. How this act may affect someone who wishes to carry out work covered by the Act, or who receives notification under the Act of proposed adjacent work. Jon is the Founder and Managing Director at Hallas & Co. The company is a growing business with an appetite for setting new standards. Jon’s passion for providing the highest possible service in surveying standards is evident throughout the company. His ethos is endorsed by all the surveyors at Hallas & Co.
Jon spent 6 years working as a surveyor in social housing which provided a fantastic base to develop his building and construction knowledge. Jon returned to University and achieved a Masters in Building Surveying in 2006. Jon became a Member of Royal Institution of Chartered Surveyors in 2007 and has been a consultant in the private sector since 2006. Jon has developed Hallas & Co into a multi disciplinary practice specialising in providing independent services to the residential and commercial sectors. Joe joined the company in 2012 and provides Building Surveying services for the company. He is an assessor for the RICS Associate (AssocRICS) qualification. Joe achieved an MSc in Building Surveying in 2006 at London Southbank University and qualified as a RICS full member in 2008. He is also a certified member of the Association of Project Safety. Joe has over 20 years of experience in the surveying and construction industry managing large and medium sized contracts and projects. Prior to working at Hallas & Co. Joe was coordinating large scale estate renovation projects and Mechanical/Electrical engineering projects for a large social housing landlord. Andy Joined the company in 2012 bringing with him a vast wealth of expertise in project coordination, specification writing and building pathology. Hallas & Co benefits from Andy’s 35+ Years within the industry. Andy has spent much of his career working in large organisations maintaining their assets. Andy’s previous role at the award winning London & Quadrant as Asset Manager saw him in control of an annual budget of £20m. 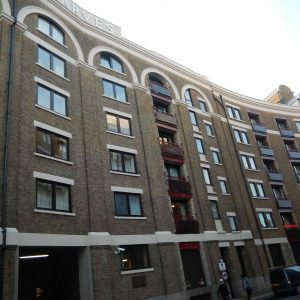 Andy coordinated major works projects on its 40,000 Housing units maintaining and improving their buildings to meet Decent Homes Standards by the deadline as set by the Housing Corporation and delivering an 18 million pound reinvestment programme on their Pimlico portfolio. Andy’s expertise in managing large contracts has proven to be invaluable for Hallas & Co. Joined Hallas and Co in 2015. Christopher has an MSc in Commercial Construction Management which was obtained at Westminster University. Christopher has over 12 years of experience working in the construction and property sector. Christopher has a wealth of knowledge in construction technology gained during his time spent specifying, managing and administering refurbishment projects. Christopher’s tenacious attitude towards Client satisfaction and high standards makes him an invaluable part of the team. Christopher achieved full membership of the RICS in 2018 through the APC training program at Hallas &. Co.
Mike Joined Hallas & Co in 2013. Mike has a BSc (Hons) in Building Surveying and achieved full membership of the RICS in 2018 through the APC training program at Hallas &. Co.
Mike has 10 years experience in architectural design. Mike has prepared CAD drawings, planning applications and Building Regulation drawings for a variety of building works and extensions. In the last 5 years Mike has developed his building surveying skills at Hallas & Co. Mike has been a member of the Faculty of Party Wall Surveyors since 2015. Oliver Joined Hallas and Co in 2018. Whilst working for the company Oliver has begun his studies at the University of Kingston on their RICS Accredited Building Surveying MSc Course. Oliver has a good knowledge of building construction and development after working as an operative on various Building sites across London. Oliver has developed this prior knowledge and skill set considerably whilst working at the company and has adapted well to the demanding surveying environment. This has enabled him to assist the Surveyors at Hallas & Co with a diverse range of reports and projects. Oliver has an impressive eye for detail and workmanship. During projects he always has the delivery of a high-quality service to clients at the forefront of his priorities. Oliver conveys his knowledge and recommendations to those around him concisely which is displayed in the efficiency of his work. Amy Joined Hallas & Co in September 2017. Amy provides office support and administration to the Hallas & Co Team. Amy enjoys organising events for Hallas & Co and in her spare time is a singer/Songwriter. Himali is a qualified secondary school teacher. She taught English for 12 years. Himali then joined Hallas & Co in 2011 to assist with the day to day running of the company. Himali provides administration support and utilises her English qualification to proof read reports and publications. Himali has exceptional organisational skills which is a great benefit for the company. Himali enjoys developing the company website. Bridie has worked with Hallas & Co since 2012 providing book keeping and accounting services. Bridie also assists with organising company insurance and other important administration tasks. I never hesitate when recommending Hallas & Co to clients, colleagues and friends. 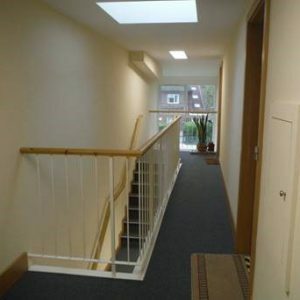 They have always proved themselves to be a most cordial, knowledgeable and highly efficient team. This is undoubtedly proven over and again in the roots of their well-established and ever expanding client base. Chris acted as Principal Designer, specifcation and design consultant for us during a complicated office refurbishment. From start to finish his profession manner and invaluable advice contributed to the successful outcome of the project. We would not hesitate to contact Hallas & Co. again in the event of our undertaking any kind of similar work in the future. 3 story office refurbishment including damp repairs, asbestos removal, complete M&E renewal, new design layout. We approached Hallas & Co because we needed a project manager to lead on the reinvestment on one of our estates in Surrey. Jon & Andy helped me by appointing an architect to assist with the design, procured a contractor and contract managed the work to completion. The results were great and the estate really has been transformed. One thing I liked was their approach to involving the residents in the new designs. I would recommend Hallas & Co to people who need contract or project managers. Hallas & Co have undertaken several structural building surveys for me on properties I have purchased. Their efficiency and wealth of knowledge never fails to impress me. I highly recommend Hallas & Co.
We have used Hallas and Co on a number of occasions for both structural surveys and to act on our behalf in a party wall agreement. They have always been professional, efficient, courteous and have carried out work to the highest standard. We have no hesitation in recommending them. Great job on the tarmac at Edge Hill Court. Thank you to those involved. Over 1000SM of tarmac resurfacing. The works involved resurfacing a one way system, remarking car parking space lines and renewing timber posts. The site is a private residential estate. Utilising professional traffic management the project was carried out before Christmas successfully with 0 complaints. 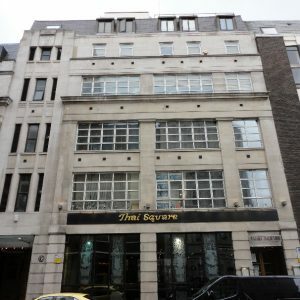 We appointed Hallas & Co to prepare a specification for the external refurbishment of our office and retail block. Hallas & Co took control of the project from inception to completion and delivered it on time and within budget. The standard of the worksmanship was outstanding and we were thoroughly satisfied by the service that Hallas & Co provided and we would not hesitate to use them again. We are proud to announce our continued support in the community of Ascot United Football Club. Extending our sponsorship to Under 11 Royals. Under 7 Racing and Club Sponsor.